Thank you for keeping my Mom safe both generally and yesterday during the fire alarm. It was obvious to me that you had a plan and even if plans can be fine tuned, everyone from what I could see was safe. Thanks so much. I also want to thank you for that lovely letter that you sent Mom last week. She has been feeling kind of useless as many of her roles in the family and elsewhere are not possible for her to do anymore. She is very pleased to know that she has a role as an encourager. Joe and Sol met at Sherwood House October 2014. Joe moved into Sherwood a month after Sol. He was drawn to this beautiful lady, not only for her charm but also to use his hidden talent of speaking Spanish. Sol was very pleased to have someone to converse with in her language. With Joe’s friendship Sol settled in nicely to Sherwood House, making new friends and gaining confidence to speak English. Their love blossomed as their friendship entwined their hearts. 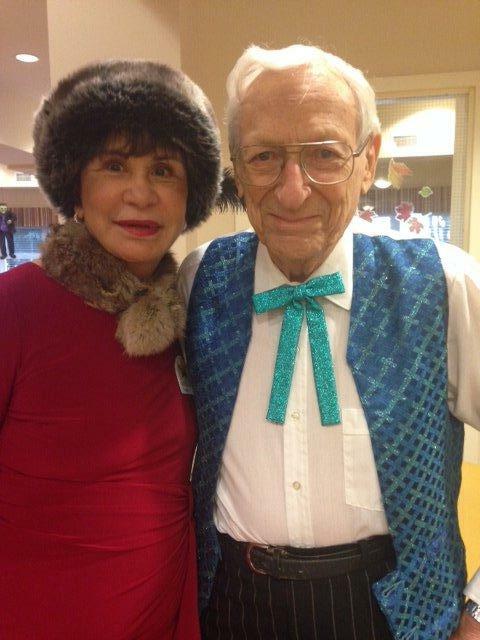 They were engaged in Dec, 2014 with the blessing of all the residents and staff of Sherwood. Joe and Sol made history at Sherwood House when they were married in May, 2015 becoming Sherwood House’s First Wedding. Thank You so much for caring for our mom is such a kind way. We appreciate all you do for her and all the other residents too. May God bless you today and always! You are extraordinary people with such warm hearts for the elderly. – Sincerely Jeanette Jackson & Jenny Cnossen’s family. Friendliness of all that work and live there. It takes the staff to create that and that will always be remembered. A little more than a year ago, my step-father passed away and my husband and I began the difficult process of helping my mother adjust to a new life. The most challenging part of this journey was helping my mother realize that her home was now too large and remote for her to continue to live there safely. My husband and I were determined to find accommodation for my mother that was safe, friendly and allowed her the independence she so keenly wanted to preserve. It only took us a couple of minutes during our first tour of Sherwood House to realize we had found that place. Managers Bev and Roz Wilson are attentive, understanding and professional: it was clear they had helped many families make this transition and we felt in great hands. We had a few tours, including lunches and dinners in the dining room with the other residents, all of whom were welcoming and happy, and with every visit my mother felt more comfortable. Now a year and a half later, I can say that our first impressions were spot on. All the staff, from the front desk, to the kitchen, to the cleaners, are kind and caring. My mother, home maker and cook extraordinaire, tells everyone how nice and clean the building is, how delicious the food tastes, and how everyone is so very helpful. A year and a half ago, we worried that she’d never say that about anywhere. Today, although she’s begun repeating herself a little more often, every time we hear those words, we are so very glad. 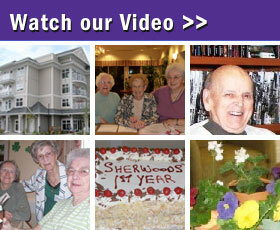 Sherwood House is a very welcoming and bright facility with quality services and friendly staff. We so appreciated the tour and all our questions answered along the way. Also enjoyed the tasty guest lunch, and meeting many of the genuinely happy residents. I love it here at Sherwood House. I have no regrets at all for moving here. Everyone is really nice and treats you really good. I certainly say you should move in here…. I, Alice Clarke wish to say I have thoroughly enjoyed my stay at Sherwood House. I will miss everyone, Thank You all for being so nice to me. Good food, good friends, good management.